An iconic landmark of Sauze, the La Torre is a striking hotel with an art deco theme running throughout. The hotel was specially designed to be light and spacious and to take advantage of the spectacular views of the mountains and down the valley. The public areas, along with the bedrooms, are tastefully decorated with modern art, and most have those wonderful vistas. 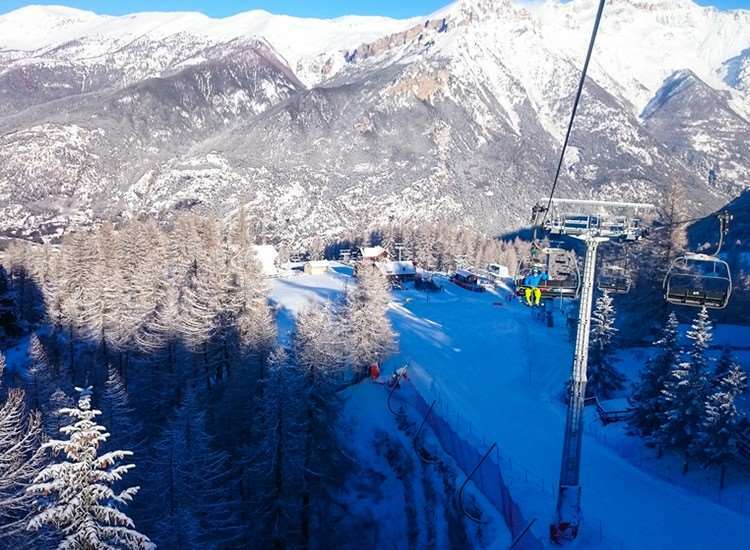 Location 5 minutes’ walk (500m) to the Clotes chairlift and just a short walk to the centre of the resort. The hotel also operates minibus service, on request, to the lifts and the local ski bus stops just outside. 114 All rooms are spacious, light and airy with views of the valley or mountains and have bath and shower, satellite TV, telephone, safe and hairdryer. Evening meals is a buffet of starters, salads and desserts with a waiter serviced main course. We all thought the accommodation was good and the food was excellent. Staff were friendly and helpful, couldn't have been better. The resort is great with plenty of nightlife. The only slight moan was walking up from Hotel La Torre to the nearest lift in the morning. Bit of a pain but we hired gear right at the lift and left boots and skis there each day so that made it easier. Didn't understand why we had to get up at 5 am on the day of departure only to have a 3 hr wait at the airport. But overall thought it was excellent and very good value. We had an unbelievable week skiing on the Milky Way! Six perfect days. Piste well kept from the top and all the way down into resort. Hotel La Torre was beautiful. Views from room and restaurant was amazing. Food and service superb.